Congratulations to our Highly Cited materials chemistry community! We are delighted to have many world-leading materials science researchers in our community, helping to guide Journal of Materials Chemistry A-C as high impact journals publishing properties and synthesis of exciting new materials. Many have been recognized in Clarivate Analytics’ recently published 2017 Highly Cited Researchers list! 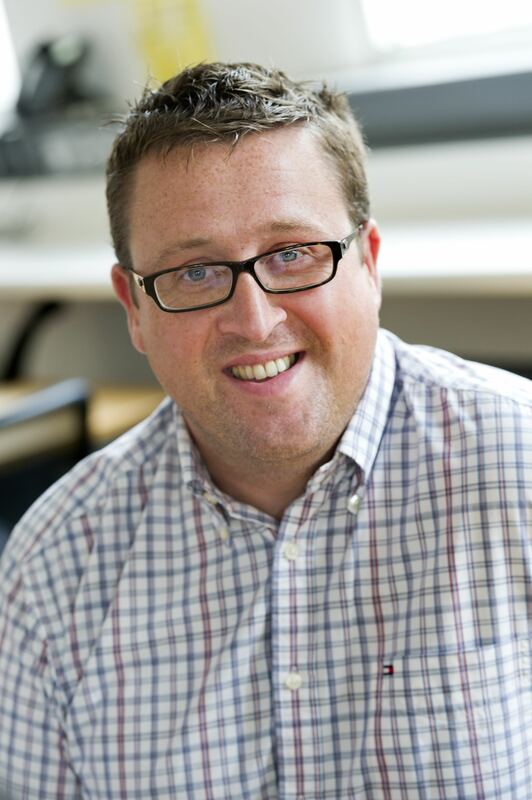 Journal of Materials Chemistry C would like to give a warm welcome to our newest Associate Editor, Dr Martyn McLachlan, who joined us at the start of April. 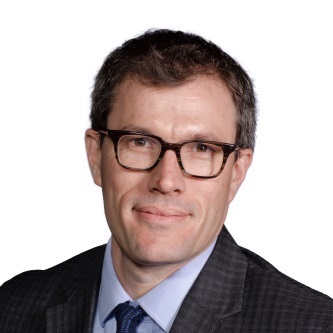 Dr McLachlan is a Reader (Associate Professor) and Director of Undergraduate Studies in the Department of Materials, Imperial College London. Previously he held a Royal Academy of Engineering/EPRSC Research Fellowship (2007-2012) at the same institute. He received his Ph.D. from the University of Glasgow in the Department of Chemistry. His research interests focus on the development of solution processed interlayer and electrode materials for photovoltaic and light emitting devices. Of particular interest to him are the correlation of processing-structure-performance relationships of solution processed organic, inorganic and hybrid devices and the characterisation of their surfaces and buried interfaces. His research is aimed at the integration of the materials and techniques developed into large volume manufacturing of plastic electronics. He has published more than 63 peer-reviewed articles and has been invited to give numerous lectures at international conferences. Further information about Martyn McLachlan can be found on his webpage. We are delighted to announce that Professor Christopher Bettinger has been selected as the seventh winner of the Journal of Materials Chemistry Lectureship in recognition of the important contributions he has made to the materials chemistry field. Professor Bettinger is aiming to present the lectureship at the 2017 Spring MRS in Phoenix Arizona, April 2017, during Symposium SM1 – Bioelectronics – Materials, Processes and Applications where he is both the meeting chair and an invited speaker. Professor Bettinger received a S.B. in Chemical Engineering, a M.Eng. in Biomedical Engineering, and a Ph.D. in Materials Science and Engineering as a Charles Stark Draper Fellow, all from the Massachusetts Institute of Technology. He completed his post-doctoral fellowship at Stanford University in the Department of Chemical Engineering as an NIH Ruth Kirschstein Fellow. Christopher Bettinger is currently an Associate Professor at Carnegie Mellon University in the Departments of Materials Science and Engineering and Biomedical Engineering. He directs the laboratory for Biomaterials-based Microsystems and Electronics at CMU, which is broadly interested in the design of novel materials and interfaces that integrate medical devices with the human body. Recent efforts focus on flexible electronics for neural interfaces edible electronics for ingestible diagnostics and therapeutics. Christopher is also the Co-Founder and CTO of Ancure, an early stage medical device company. Christopher has also recently Guest Edited a joint themed issue between Journal of Materials Chemistry B and C on Organic Bioelectronics and contributed to the Journal of Materials Chemistry B 2016 Emerging Investigators themed issue. 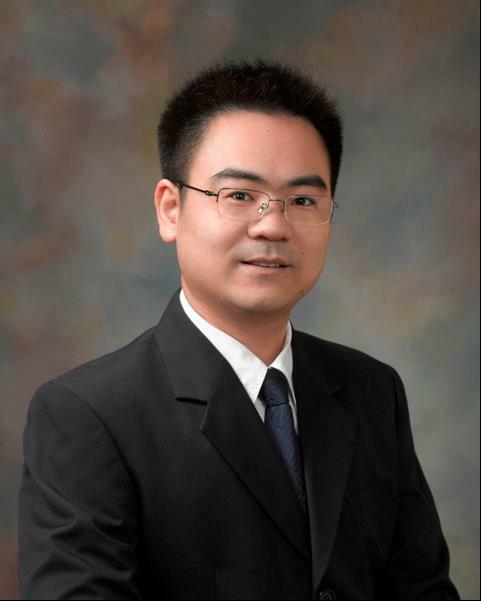 Journal of Materials Chemistry A would like to give a warm welcome to our newest Associate Editor, Li-Zhu Wu who joined us last month. Li-Zhu is currently based at the Technical Insitute of Physics and Chemistry in China. She received her Ph.D. from the Institute of Photographic Chemistry, the Chinese Academy of Sciences, under the supervision of Professor Chen-Ho Tung in 1995. From 1995−1998, she worked at the Institute of Photographic Chemistry as an associate professor. 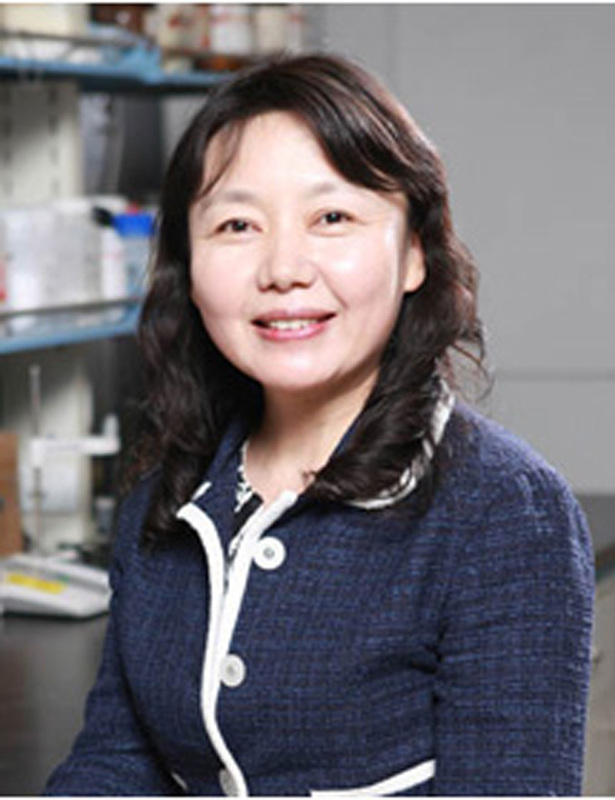 After a postdoctoral stay (1997−1998) at the University of Hong Kong working with Professor Chi-Ming Che, she returned to the Technical Institute of Physics and Chemistry, the Chinese Academy of Sciences, as a full professor. Her research interests focus on photochemical conversion, including artificial photosynthesis, visible light catalysis for organic transformation, photoinduced electron transfer, energy transfer and chemical reactions in supramolecular systems. She has published more than 240 peer-reviewed articles, 2 books and 10 book chapters and holds 50 patents. She has been invited to give numerous lectures at international conferences, piquing interest worldwide. Further information about Liz-Zhu can be found on her institution webpage. 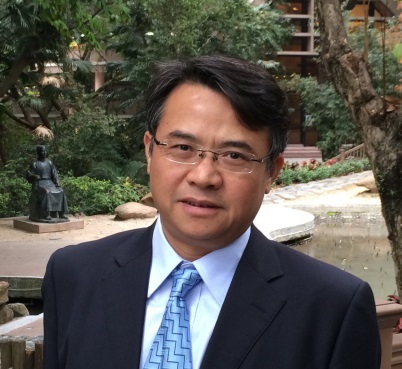 We are pleased to introduce a new Associate Editor joining Journal of Materials Chemistry A, Professor Zhigang Shuai (Tsinghua University, China). Professor Zhigang Shuai received his Ph.D. from Fudan University in 1989 and is currently the Changjiang Scholar Chair Professor in the department of chemistry at Tsinghua University, China. Prior to this he worked as a postdoctoral and research associate in the University of Mons, Belgium, for 11 years before he became a Hundred-Talent research professor at the Institute of Chemistry, Chinese Academy of Sciences in 2002.
the luminescence spectra and quantum efficiency, carrier mobility, thermoelectric conversion, and photovoltaic processes in organic/polymeric and layered nanomaterials and has published over 310 paper in peer-reviewed journals and supervised 18 PhD theses. Zhigang was elected to the International Academy of Quantum Molecular Science, is a Fellow of the Royal Society of Chemistry, Foreign Member of the Academia Europaea and the Royal Academy of Sciences, Letters and Arts of Belgium and he serves as a member of the Executive Council of the Chinese Chemical Society. He was the recipient of the National Outstanding Young Investigator‘s Fund (2004), National Talent Program of the Ministry of Personnel (2006), the Chinese Chemical Society – AkzoNobel Chemical Sciences Award (2012), and the Special Allowance from the People’s Republic of China State Council (2013). On behalf of the Journal of Materials Chemistry A, B & C Editorial Offices I would like to congratulate Dr David Lou, Nanyang Technological University, on his recent promotion to full professor, making him the youngest full professor at NTU Singapore. Dr David Lou received his B.Eng (2002) and M.Eng. (2004) degrees from the National University of Singapore. He obtained his Ph.D. degree in chemical engineering from Cornell University in 2008. Right after graduation, he joined Nanyang Technological University (NTU) as an Assistant Professor, and he was promoted to Associate Professor in September 2013. He has published about 210 papers with a total citation of >21,000, and an H-index of 83. His main research interest is on designed synthesis of nanostructured materials for energy and environmental applications. Dr Lou is currently an Associate Editor for Journal of Materials Chemistry A and last year co-Guest Edited a themed issue for Journal of Materials Chemistry A on flexible energy storage and conversion. Congratulations Professor Lou on this highly impressive achievement! On behalf of the Journal of Materials Chemistry C Editorial Office I would like to congratulate Dr Neil Robertson, University of Edinburgh, on his recent promotion to Professor. Neil Robertson graduated from the University of Edinburgh for his BSc and PhD degrees, and then worked in the Freie Universität Berlin, University of Wales Bangor and Imperial College London before returning to Edinburgh where he has remained since 2001. His research is focused on the design, synthesis, characterisation and application of new molecules for electronic materials, including dye-sensitised and perovskite solar cells, and multifunctional molecular semiconductors incorporating optical and magnetic properties. 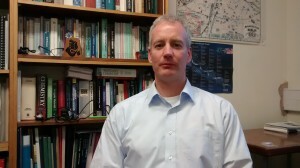 He has acted as Deputy Director of the Supergen Excitonic Solar Cells Consortium (UK) and Director of the Scottish Institute for Solar Energy Research and Energy Technology Partnership. He is a Fellow of the UK higher Education Academy and a Fellow of the Royal Society of Chemistry. He has initiated the Solar Spark project promoting low-cost solar energy to the wider public, which now links into Royal Society of Chemistry “Learn Chemistry”. 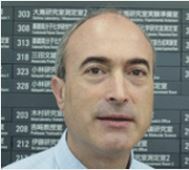 We are delighted to introduce the new Editor-in-Chief of Journal of Materials Chemistry A, B & C, Professor Nazario Martin. Professor Martin completed his doctorate at the Universidad Complutense de Madrid, Spain, where he is a full professor of Organic Chemistry and vice-director of the Institute for Advanced Studies in Nanoscience of Madrid (IMDEA-Nanoscience). Recently he has been appointed as Dr. h.c. by La Havana University. He is a member of the Royal Academy of Doctors of Spain and a fellow of The Royal Society of Chemistry and in 2006-2012 he was the President of the Spanish Royal Society of Chemistry. We would like to take this opportunity to thank the outgoing Editor-in-Chief, Professor Dongyuan Zhao, for his direction during the last two and a half years. Professor Zhao is stepping down as he has been appointed as an Associate Editor for ACS Central Science. Professor Shizhang Qiao received his PhD degree in chemical engineering from Hong Kong University of Science and Technology in 2000, and is currently a professor (Chair of Nanotechnology) at School of Chemical Engineering of the University of Adelaide, Australia. His research expertise is in nanomaterials and nanoporous materials for drug/gene delivery and new energy technologies. He has co-authored more than 170 papers in refereed journals (6400 citations with h-index 42), including Nature, Nature Communications, JACS, Angew. Chem., Adv. Mater., and has filed several patents on novel nanomaterials that are promising for drug/gene delivery, fuel cells, photocatalysis and lithium ion batteries. He has attracted more than 6.5 million dollars in research grants from industrial partners and Australian Research Council (ARC). In recognition of his achievements in research, he was honoured with a prestigious ARC Discovery Outstanding Researcher Award (DORA), an Emerging Researcher Award (2013, ENFL Division of the American Chemical Society) and a UQ Foundation Research Excellence Award. He was also awarded an ARC ARF Fellowship, an ARC APD Fellowship and an inaugural UQ Mid-Career Research Fellowship. 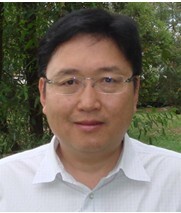 Dr Qiao is currently appointed to ARC College of Experts. He has been an Associate Editor of Journal of Materials Chemistry A since June 2013. Christine Luscombe received her Bachelor’s degree in Natural Sciences from the University of Cambridge in 2000. She then worked with Profs. Andrew Holmes and Wilhelm Huck in the Melville Laboratory of Polymer Synthesis at the University of Cambridge where her research focused on surface modifications using supercritical carbon dioxide for her PhD. She received the Syngenta Award for best organic chemistry project for her PhD. In January 2004, she joined the group of Prof. Jean Fréchet for her post-doctoral studies where she began her research on semiconducting polymers for organic photovoltaics. She was the recipient of the Lindemann Fellowship as well as the Trinity College Junior Research Fellowship (University of Cambridge) for her post-doctoral studies. In September 2006, she joined the Materials Science and Engineering Department at the University of Washington, Seattle. She received a number of young faculty awards including the NSF CAREER Award, DARPA Young Faculty Award, as well as the Sloan Research Fellowship. Her current research focuses on the synthesis of semiconducting polymers for energy applications. She is currently serving on the Editorial Advisory Board for Macromolecules and ACS Macro Letters, and is an Associate Editor for J. Mater. Chem. A. 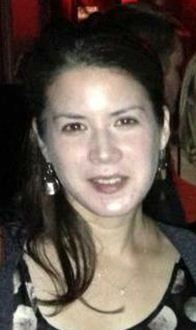 She is also serving on the IUPAC Polymer Education and Polymer Terminology Committees.